and award the best drawings published in the world press is still our mission. 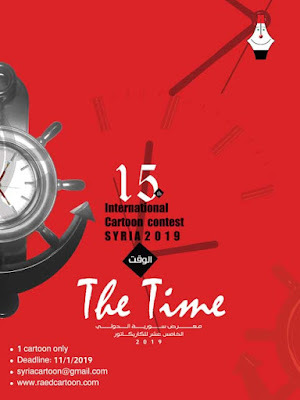 or on-line journalism every year, this is a meeting the professional cartoonists should not miss! 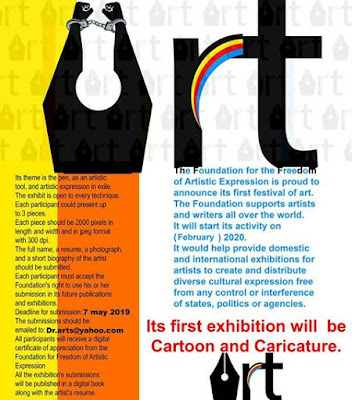 a) The World Press Cartoon covers three main categories: Editorial Cartoon, Caricature and Gag Cartoon. b) The World Press Cartoon is not a thematic event. 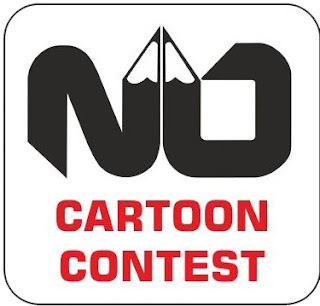 Its objective is to distinguish the best cartoons created and published in 2016.
c) In the category EDITORIAL CARTOON, all entries must represent events and issues that marked the news in 2017.
e) In the category GAG CARTOON, the works to be considered will feature subjects that are not directly related to current issues. 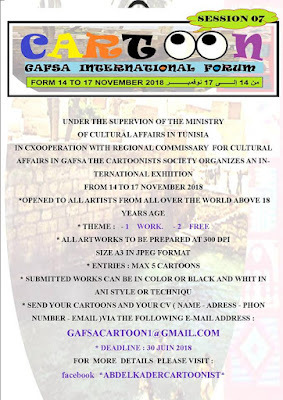 f) Authors are free to submit what they consider to be their best work, although clearly those personalities, themes and events of a more universal nature will be best suited to such an international salon as the World Press Cartoon. the Spring of 2018, at CCC - Cultural and Congress Center of Caldas da Rainha. when they are signed by hand by the author, who must indicate the techniques and software used on the competition application form. c) The original files of works produced by digital or mixed techniques must also be sent, either on CD, DVD or flash drive. d) The format of the works cannot exceed the European standard A3: 420 x 297 mm. Editorial Cartoon, Caricature and Gag Cartoon. or in professional online publications of recognized journalistic nature. photocopies or digital prints of the publication are not acceptable). on the back by the publication’s editor. filled in the registration form and remain functional until March 31, 2018.
with size and quality that allows their reproduction. to be clearly written on the identification label that will be sent with the original. The participating works should be received by the organization’s secretariat in Lisbon by January 31, 2018.
a) Participating works must be posted in flat packaging, between two hard boards. b) On the packaging, clearly visible, the words “NO COMMERCIAL VALUE” should appear. clearly filled in, and attached to the reverse side of the original. shall select the original works to be included in both the exhibition and the catalogue. c) It is up to the Jury the award of prizes and honourable mentions. d) The decisions of the Jury will be taken by majority vote and will be final. won a prize or an honourable mention in the competition. b) All exhibited works will be returned after the closure of the main exhibition in Caldas da Rainha and subsequent tour exhibitions. c) Digital prints will not be returned. e) For purpose of works and catalogue expedition, Postal Office Box numbers are not accepted. a) Authors whose works are selected to the exhibition will receive a copy of the catalogue. of the author’s royalties vis-à-vis the non commercial reproduction of his/her work. 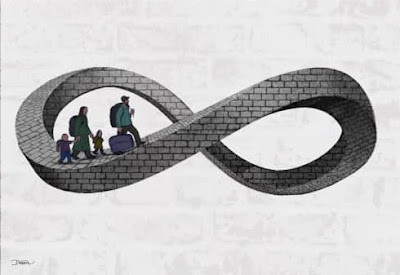 to the organization of the World Press Cartoon. 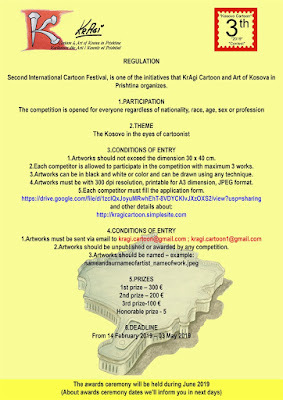 the World Press Cartoon will award the best work with the Grand Prix of 10 000 euros. c) The Grand Prix winning work will be chosen from the three first-prize winners. the amount indicated for winning the category first prize. e) The prize values indicated above refer to gross amounts and therefore are subject to Portuguese taxation at the rate in force. the Jury reserves the right not to award prizes in every category and level indicated in the table above. h) The nine prize winners will be invited to attend the Awards Ceremony to be held in Caldas da Rainha in the Spring of 2018.
which will be symbolised by a medal and authenticated by a diploma. the World Press Cartoon organization. 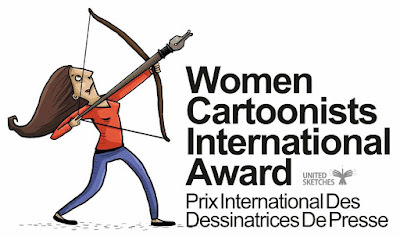 in recognition of the World Press Cartoon award. the participation in the salon.